The Ipswich Central Library, located on South Street, Ipswich Central, is Council’s main library and provides a wide range of resources, from books to advanced digital services and experiences. It also houses the vast Viva Cribb Local History Collection, unique to this library and a valuable community asset. 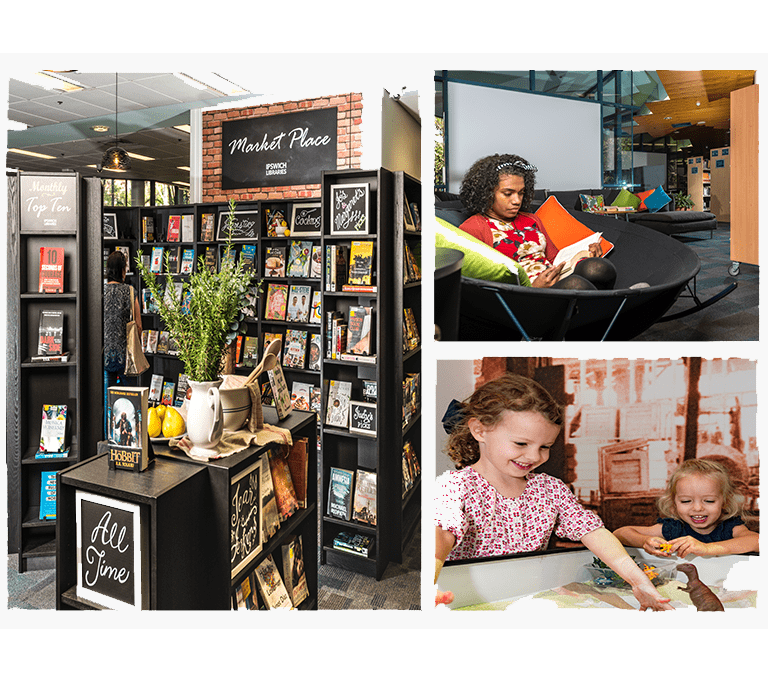 The diverse range of hand-curated collections available in ‘The Market Place’ provide books to suit all tastes and a STEAM-powered ‘Maker Space’ delights young and old with a hands-on digital experience. Public PCs with free internet access, may be booked by library members and WiFi is available free of charge. A number of meeting spaces, ranging from the 110-seat Barry Jones Auditorium to individual booths, with photocopiers and printing facilities, are also available for a small fee. The library is wheelchair accessible and there are a variety of tools for people with visual or physical impairment so that they can independently access information.